Taipei, Aug. 19 (CNA) The International University Sports Federation (FISU) has approved a change of venue for the opening and closing ceremonies of the 2017 Universiade, the host city's Department of Sports said Wednesday. The ceremonies will now be held at the Taipei Municipal Stadium (台北田俓場) instead of the Taipei Dome (大巨蛋), the department said. Taipei Mayor Ko Wen-je (柯文哲), during a visit to Gwangju, South Korea to receive the flag from the host city in mid-July, had asked the FISU officially to change the main venue of the sports extravaganza. 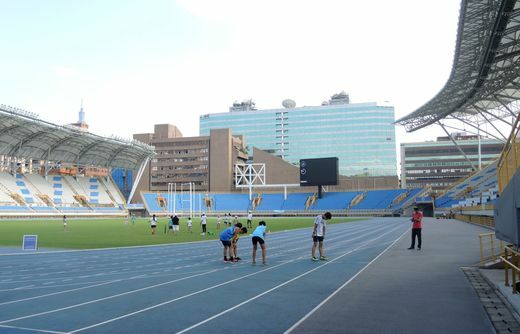 After the FISU learned about the difficulties being experienced by the Taipei City government regarding the venue, it officially approved the change, according to Hung Chia-wen (洪嘉文), director-general of the sports department.